Bicicletas Eléctricas, com Estilo e Qualidade! com um sprint diferente do das bicicletas assistidas, mais clássicas. 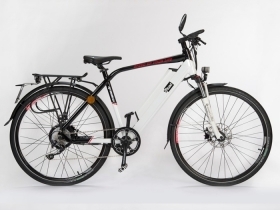 Modern electric bike for fast driving on paved roads. Lightweight alloy frame with 10.4 Ah Lithium-ion battery. BAFANG 250 W motor in rear hub. Outer 7 speed SHIMANO Acera gears. Electric support with 5 power modes. Controller with King Meter LCD displayer. 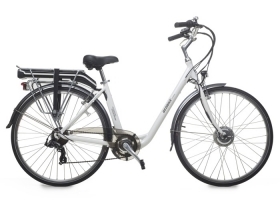 It's a modern city bike for everyone with comfortable unisex step through type frame. Touring is a great bike for city trips, commute to work and leisure trips outside the city. 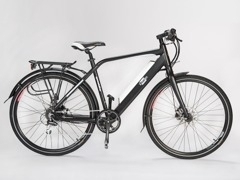 Touring is very comfortable electric bicycle bike for daily rides. It has step trough type frame, wide handlebar with profiled grips and the construction allows to ride in upright position. Equipped with front motor 250 W and 9 Ah Lithium-ion battery mounted on trunk. Controller from electric support is mounted on handlebar. It shows battery charge level, controls 3 power modes and turns on the lights. Front and rear lamp are equipped with LED bulbs, in addition rear lamp has a parking light mode function. SPEED BIKE is a perfect solution if you want to ride really fast. Road bike construction, high-end equipment and electric support allow to achieve maximum speed with minimum effort - our G-BIKE S-ROAD can reach 45 km/h max speed. Speed bikes are dedicated for both amateurs and professional cyclist. 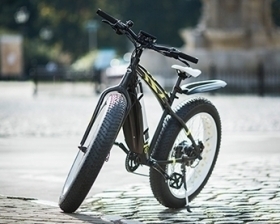 Certified version of G-BIKE S-Road. High-end equipped powerful speed bike. 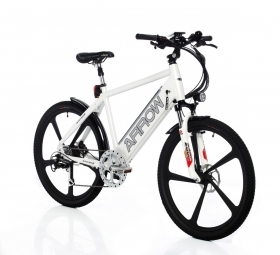 Lightweight alloy frame with 13 Ah Lithium-ion battery. Powerful 500 W motor placed in rear hub. Outer 10 speed SHIMANO SLX gears. G-BIKE XT hydraulic disc brakes. Electric support with 6 power modes. Modern LCD displayer King Meter Just One integrated in steam. Equipped with accessories - SPANNINGA LED lights, rack and mudguards.